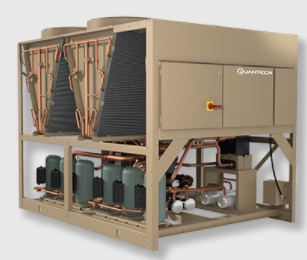 Process chillers may cool up to 40 tons of refrigerant at a time and control the temperature in manufacturing or industrial facilities. They are able to cool facilities of literally any size, and drop temperatures considerably. Since process chillers are only needed during manufacturing processes and do not provide general facility temperature control, they are rarely if ever continuous-duty chillers. The medical, manufacturing and food processing industries all use process chillers to maintain lower temperatures in their facilities. They are used for laser cutting and welding, metal cutting and forming, automatic welding, plastic molding, metal spraying, hydraulic systems, batch cooling, photographic processing and printing. Dairies, breweries, food processing plants, MRI and CAT scan machines also require the use of process chillers to function properly. Like most industrial chillers, food process chillers are composed of four main parts-the compressor, evaporator, condenser and a metering device. Depending on the application, these chillers may vary considerably. For non-ferrous applications, stainless steel tanks and pumps are used. 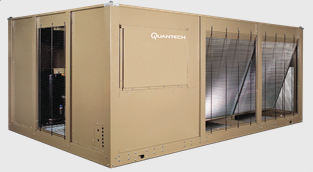 When a chiller system is small and compact, it is often caster-mounted for portability. They may have low or high ambient controls, depending on the difference between the facility’s temperature and the desired temperature. There are also several heat recovery rates. Process chillers are also used to accomplish many different cooling applications that vary from industry to industry besides cooling down machinery. In plastic forming, chillers reduce cycle times in injection molding by quickening the cooling process. In food processing, large amounts of cold water is used when baking, to allow the dough to mix for longer, resulting in higher quality goods. They also cool chocolate products, meat and vegetables. In pharmaceutical manufacturing, emollient vats get extremely hot, and process chillers help lower their temperature quickly. Printing presses require chiller systems for rolling and pressing to reduce bleeding and stretching of photographs. They are even used in wineries to prevent clouding, browning and discoloration of the wine during fermentation. Process Chillers Process chillers are a type of industrial cooling system that is used when HVAC water chillers do not provide enough cooling power. They use refrigerants like ammonia and halocarbons to cool facilities, machinery and products during and after industrial processes that generate large amounts of heat. They provide very effective cooling, and may be compact and portable or centralized chiller systems that are installed indoors or outside.